Teen rhinoplasty can be done any time of year but, if you’re offering your teen a rhinoplasty for Christmas, you should try to schedule it for spring, preferably for a break period when your son or daughter will be spending a lot of time at home. And while it’s a safe assumption that you wouldn’t be doing this unless your son or daughter wanted it done, it’s a good idea to have your son or daughter talk with somebody beforehand to determine that this is being done not on a whim or to satisfy a boyfriend or girlfriend, but out of a real need that has been felt for a long time. The best person to deliver this talk may be the surgeon, if he or she has been in business a long time. Such a surgeon has seen enough patients to understand their motives, and knows that the best publicity is customers who are satisfied in the long term. As with any other rhinoplasty, teen rhinoplasty is usually performed under general anesthesia. It should wait until the features of the patient are fully mature — about 17 for boys and 15 for girls. There are circumstances under which it may be possible to perform surgery on a younger patient — for example, if the surgery doesn’t involve the still-growing nasal bones, or if it is to repair damage after an accident. Only an experienced rhinoplasty surgeon can say if this is the case. 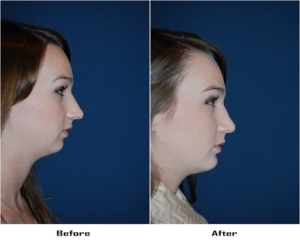 Dr. Sean Freeman is the best rhinoplasty surgeon in Charlotte today. He has been certified by two different boards of surgery, the American Board of Otolaryngology (head and neck surgery) and the American Board of Facial Plastic and Reconstructive Surgery. Since 1988 he has concentrated on his specialty — facial plastic surgery, including nose jobs. Many of his patients have already gotten nose jobs from other surgeons and are seeking revision rhinoplasty to improve them. If you or your son or daughter lives in or near Charlotte and wants teen rhinoplasty, schedule an appointment or online consultation today.